The ‘loudest phase’ of the construction for the airport redevelopment project has been completed ahead of schedule, Skyport said today, explaining that all 719 piles have been driven beneath the surface to create the foundation for the new terminal. “The pile driving began on May 28 and work took place seven days a week. Pile driving is the process of hammering steel piles into the ground at a depth of 115 feet within the footprint of the new terminal and passenger bridges. It was essential for supporting the structure of the new terminal,” Skyport said. 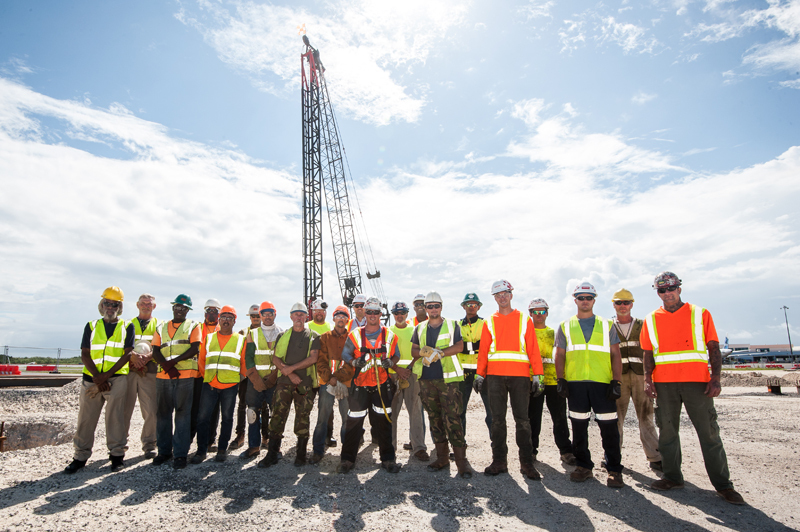 Frank Ross, Executive Director, Infrastructure, Aecon Construction, says: “The pile driving was the noisiest phase of the project and we would like to thank our stakeholders and neighbours for being patience for the past couple of months. “The work was scheduled between 7am and 10pm every Monday through Saturday with work also taking place between 7am and 6pm on Sundays,” Skyport said. “The schedule was designed to ensure that the piling work is completed in as short of a time as possible, to minimise the impact on area residents and businesses. 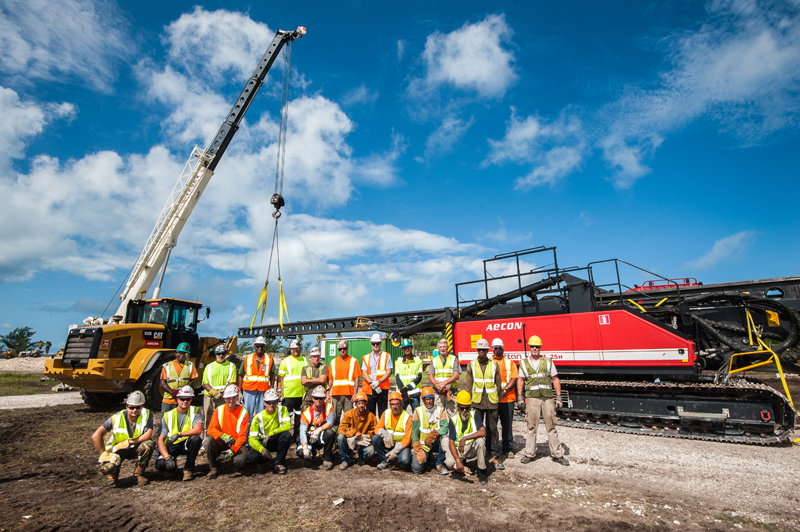 The steel piles were installed with two rigs, both using the hammer method. “Pile driving finished on September 22, some four months ahead of the schedule. Work was carried out by Aecon Foundations and Correia Construction. 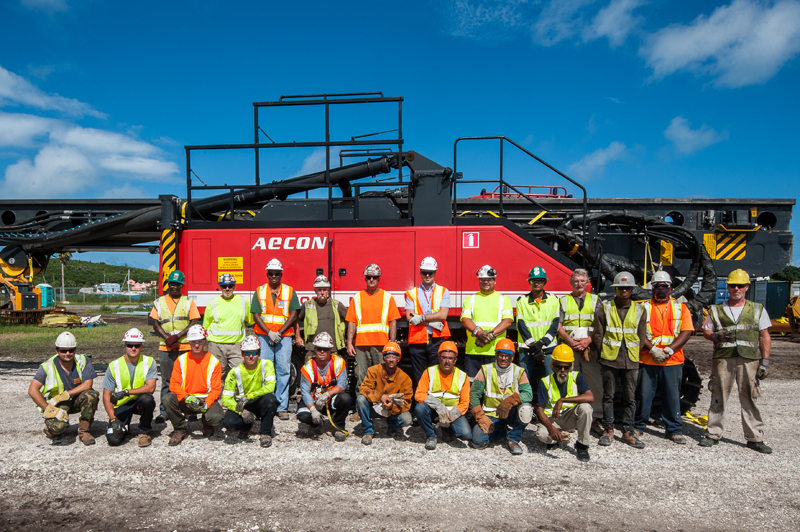 Twenty-eight Bermudians were involved in the pile driving works. The bus ly-by at Dev Rec–Will be completed on time, to spec and within budget!! They working hard on de bus stop today. Well de taxpayer get a little pissed wben they see it take 5 weeks to put up 6 course of block. Proof that private enterprise is more efficient. I’ve heard through a friend who knows a pilot, that with the position of the new terminal, it will make the emergency runway useless. Thus, planes will have to start carrying more fuel for emergencies and in turn will increase the prices of airline tickets to and from Bermuda.